Apple rolled out its iconic iPhone five years ago, just as Bear Stearns subprime hedge funds sounded the alarm on a systemic trauma. Financial woe often impedes development. But the iPhone is proof that innovation can defy the odds and overcome hard times. The advance of technology is hard to stop. R&D budgets do get slashed in downturns. The growth rate of patent filings has slowed during the recent crisis. But companies that don’t invest, or that do so poorly, can suffer. Research In Motion and Nokia learned the lesson all too well. Their market values have plummeted over 90 percent since mid-2007. More importantly, desired products, whether new plastics in the 1930s or smartphones now, tend to thrive regardless of the economic climate. About 40 percent of Dupont’s revenue in 1937 came from products introduced during the Great Depression. Almost 60 percent of Apple’s sales are now generated by the iPhone. Apple’s focus on high-end customers hasn’t hurt. Even reduced disposable income at a certain level still leaves plenty left over for a new bauble. But the iPhone offers value for the considerably less affluent, too. It replaces digital cameras, personal organizers, guidebooks, dictionaries, satellite navigation systems and music players. That list isn’t inclusive and is bound to grow. The contrast with the financial crisis is a stark one. Apple’s market value has increased by about $430 billion since the iPhone was introduced. The device represents a majority of the company’s sales and an even greater proportion of profit, and has contributed greatly to the popularity of the iPad. That makes it safe to ascribe a healthy amount of the gain to the iPhone. By comparison, Apple’s increased capitalization isn’t far off the $470 billion that was required from the U.S. Treasury’s Troubled Asset Relief Program to bail out Citigroup, AIG, General Motors and others. Real estate crashes reverse themselves and debt hangovers get worked off. In the meantime, technology relentlessly marches on and provides fresh stepping stones for the eventual recovery. That makes the iPhone a hopeful reminder for a world stewing in another five-year anniversary that isn’t much worth celebrating. 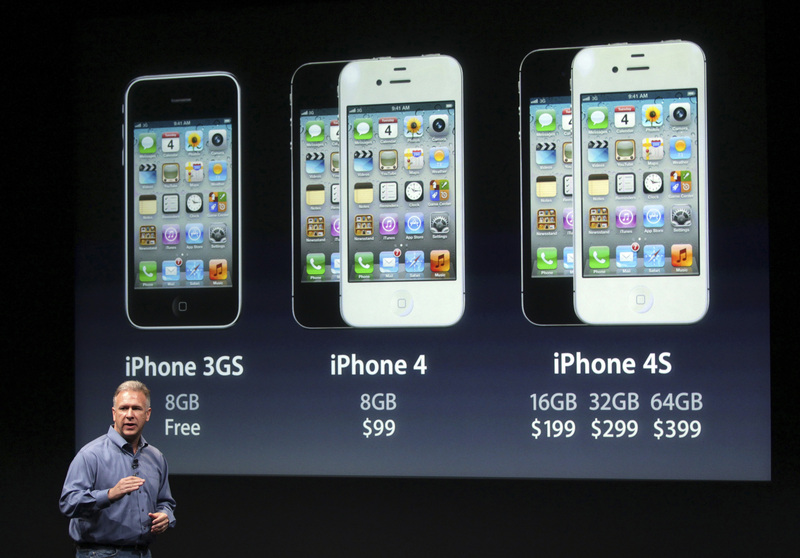 Apple’s iPhone first went on sale in the United States on June 29, 2007. In the most recent quarter, the company sold 35 million of the devices. The $22.7 billion of revenue from the handsets during the quarter accounted for 58 percent of Apple’s sales. On June 23, 2007, Bear Stearns pledged over $3 billion to rescue one of its hedge funds that had suffered big losses from subprime mortgages. The attempted bailout turned out to be one of the earliest signs of a systemic crisis.